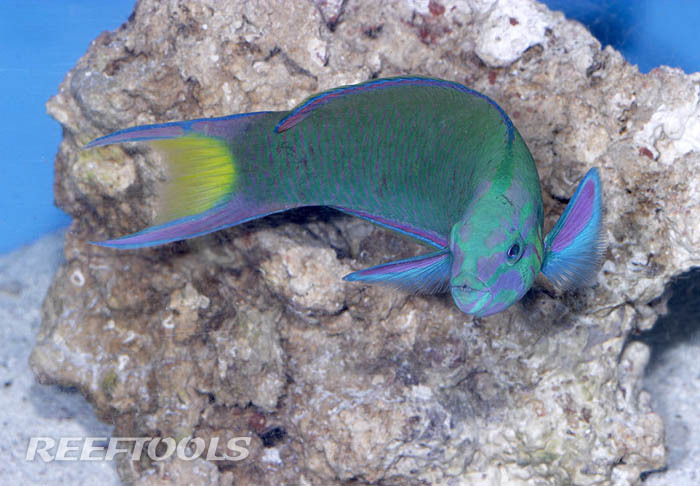 The Lyretail Wrasse, Thalassoma lunare, also known as a Lunar Wrasse, Lunare Wrasse, Crescent Wrasse and Moon Wrasse because, as an adult, it has a crescent shaped yellow caudal fin. 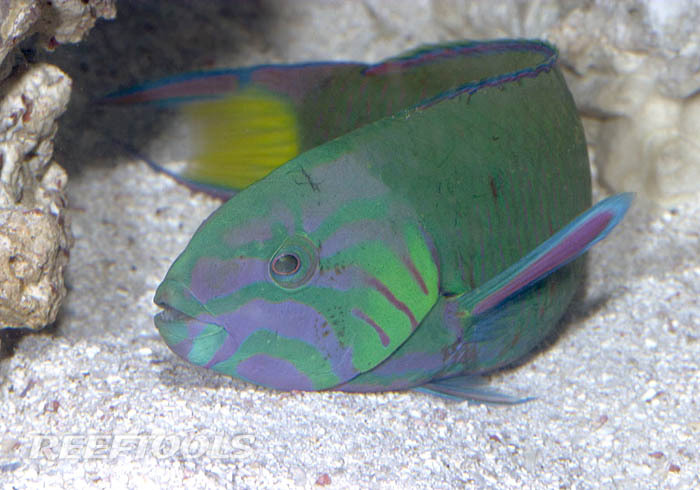 This hardy wrasse is very active, and easy to care for. An aquarium of at least 120 gallons with plenty of swimming room is recommended for housing this fish. A great candidate for a peaceful-community tank, the Lyretail Wrasse should will eat small crustaceans and invertebrates, but should leave corals alone. Either one or a pair should be kept together, as additional males will become aggressive towards each other. 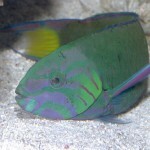 When sleeping, or feeling threatened, this wrasse may bury itself in the sand. The Lyretail Wrasse should be offered a diet consisting of vitamin enriched frozen mysis and bring shrimp, along with other meaty foods and choice marine pellets and flakes.